A tl;dr for those who want to skim: Squarespace just added a new page to your site for every tag you’ve ever used. This influx of typically hundreds of low quality pages into the index is having a negative affect on every Squarespace site we’ve looked at. If you keep scrolling, we have a fix. We’ve recently been digging into the technical issues of the Squarespace platform. Our short term goal is finding every technical SEO issue on Squarespace and finding a way to fix them for our clients. Long term, we’re hoping that raising these issues in the support forums and with Squarespace Help will help them solve these on their end. So far.. it’s been interesting to say the least. Technically, they have sizable issues and if you search for their responses in the help forums, they try to brush them off as meaningless or cast blame elsewhere. With Game of Thrones returning.. this isn’t the kind of wall you want to see appear in your Search Console. We noticed new tag pages being indexed by Google. I’d crawled the same sites earlier that day and hadn’t seen those pages in the crawl. I quickly realized that these outcast tag pages are newcomers to the Squarespace sitemap, but they don’t actually appear anywhere on the actual site. These look very much like the standard WordPress tag pages, with a few key differences. First, these tag pages are inheriting the same page title and meta description as the main blog page. Second, they’re not linked to anywhere in the current templates that I reviewed. Third, there is no way to hide them from search results. 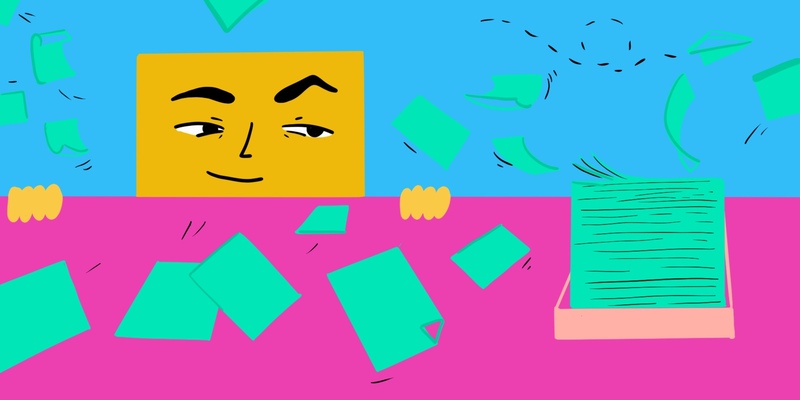 You want the ratio of quality pages to pages indexed to be as close to 1:1 as possible. Sure looks like it. I’d noticed a handful of Squarespace projects taking dips in late March. Even sites that I hadn’t touched in months, sites that are generally as steady as a rock. This looked very familiar to the infamous Yoast Bug from last year, when a massive amount of image attachment pages were indexed, causing similar index bloat and ranking drops. Well Great.. How do we fix it? From what I can see, there is no Squarespace setting to handle tag archive pages. The best case scenario would be to have the ability to both choose if you wanted them included in search results or not and to choose to include them in the sitemap. We can’t modify the sitemap, but we can control the indexation. First, you’ll need to go to https://tagmanager.google.com and create an account. Then select web container. They’ll then give you two snippets like below. Squarespace doesn’t let you inject into the <body> tag, but instead injecting the second code into the footer will work great. This will be a simple, but very powerful, tag. It creates a meta tag called “robots”, with the noindex directive. As soon as search engines see this tag, they remove the page from their results. 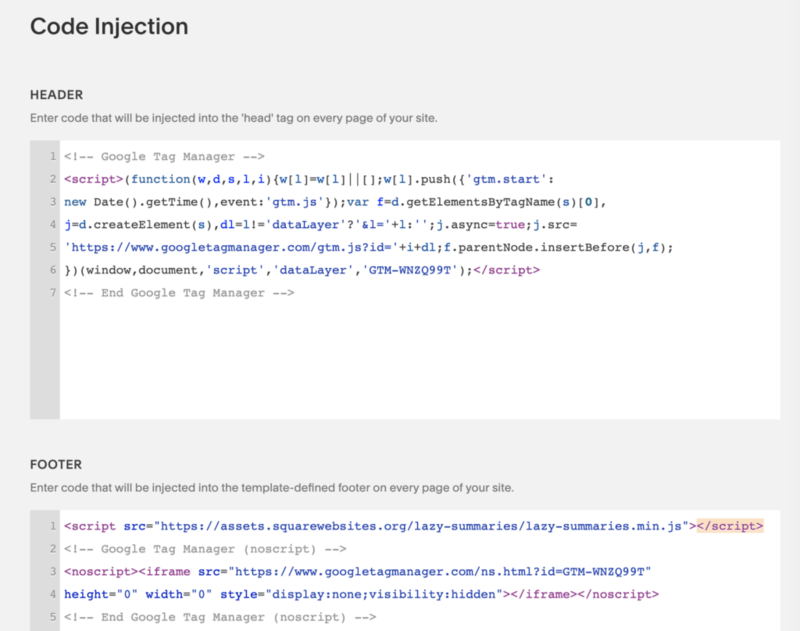 You will definitely want to test and make sure that it’s only being injected on pages you want to hide. 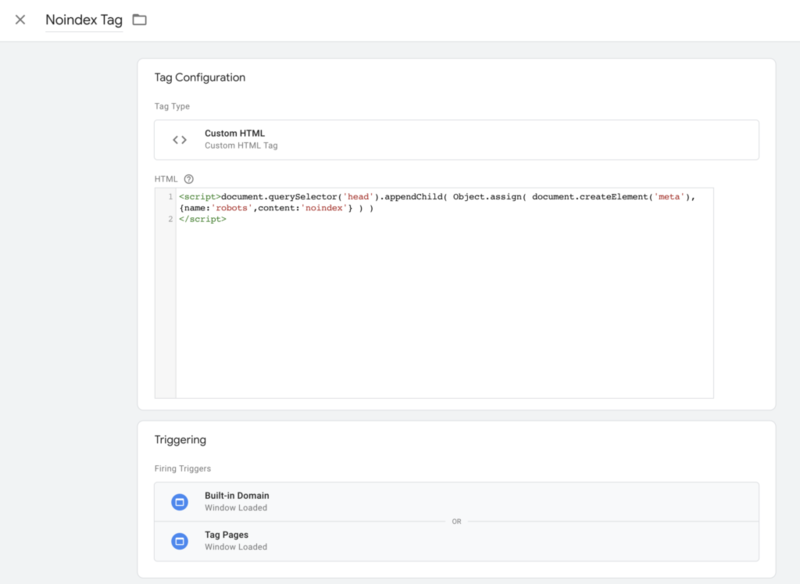 Tag Manager has a great preview option that shows you which tags are or aren’t firing on the page as you browse, very handy. Select “new tag”, then “tag configuration”, then “custom HTML” and paste the code from below this screenshot. Then you need to create a trigger for the tag. Then the “+” sign for new trigger. After that, Window Loaded and “Some Window Loaded Events”. Then you simply make sure that you have the trigger associated with your noindex tag and hit “Preview”. This allows you to click onto the main pages of your site and make sure that the noindex tag is under “tags that did not fire”. To test it on a tag page, search for “site:yourdomain.com tag” to see a list of the tag pages that have been indexed. Click on one of those and you should see that the noindex has fired. You can then use a browser extension like “Open SEO Stats” to see that the noindex tag is working properly. Pro-tip, make sure you don’t have ad blocking turned on with your browser. It can block Tag Manager from working. You can now publish the container. It’s best to add a description of what you’ve done when publishing, allowing you to easily look back at a later date. 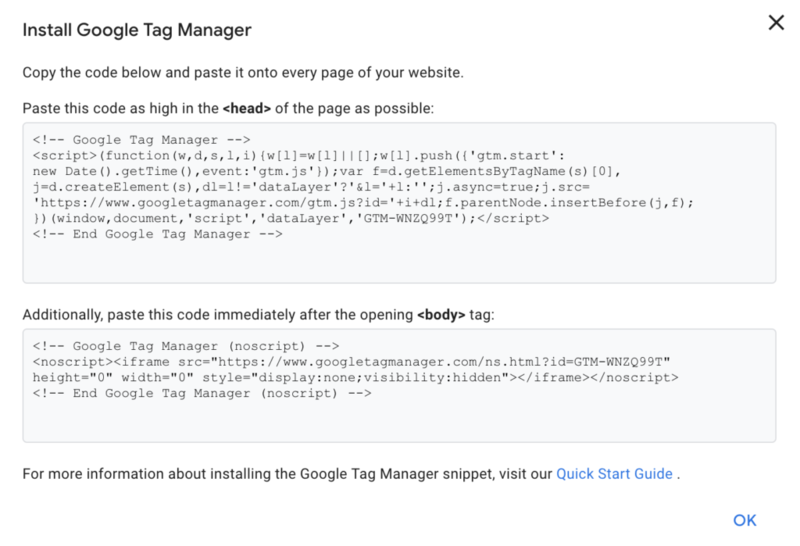 Finally, you can submit a tag page to Search Console to make sure they see it as well. 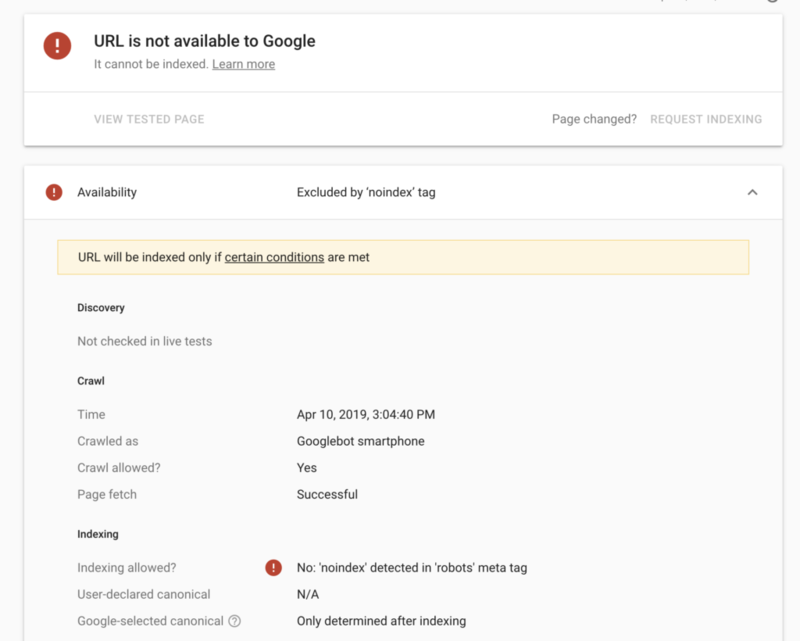 Now we can use the Google Search Console URL removal tool. It’s a lesser known fact, but you can remove entire subdirectories (folders) of pages with this tool. 3. Hit temporarily hide, put that folder URL into the box, then hit continue. This tool is extremely quick. The requested URLs will be out of the index within minutes. Awesome. We learned about a FUN new Squarespace feature, added Google Tag Manager to our sites, and were able to clean up their little mess. Between this fix and the tip we included in the video on fixing the built-in site, you should be seeing a much healthier number of pages indexed for your site. If it was legal, I’d bet money dollars that your rankings will improve after making these changes. If this fix is too technical for you to handle on your own, contact us to inquire on pricing and availability. We’re building a package of technical SEO fixes that apply to all Squarespace sites. Huge thanks to A Fist Full of Bolts for letting us use their site as an example. Wonderful! Thank you so much guys! Dude you are the man! Thanks for making this, Squarespace SEO has been an uphill battle and I love the Game of Thrones reference lol. Keep it coming and look forward to learn more from you! Omg!! I didn’t even know this was a thing! THANK YOU. You guys are just the best source for SEO. Thank you so much for all the amazing info! Can I just say how completely grateful I am for people like you who have the passion and ability to master the confusing world of SEO and related technical issues?! Thank you for sharing such thorough, honest, and helpful information! Dylan! You’re a wizard. I noticed this the other day & now that I know what to do I am definitely going to do this ASAP. Thanks! Wow – thanks for sharing this issue and how to fix it!! Super helpful!